"Oh wow, the box has changed!" Natalie shrieked. They have revamped their look! It's still full of fabulous kawaii goodies. A Woodstock keychain squishie! She's going to attach it to her backpack. A ladybug plush! Natalie was all, "She's beautiful!" An angry cat. Natalie thought he was hilarious. "Why is he so upset? He sort of looks like OUR cat Ruby! She's always glaring at us." 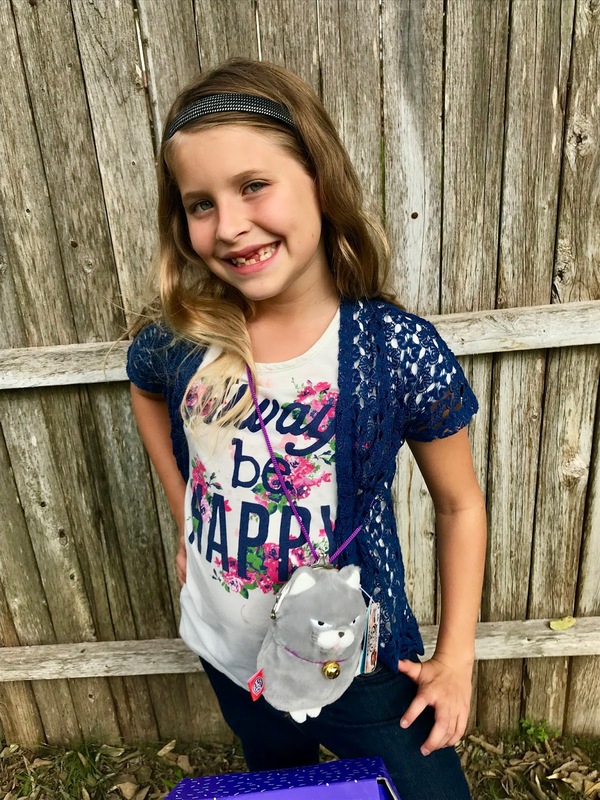 She loves her angry cat purse! Natalie got a cool book of note pages. 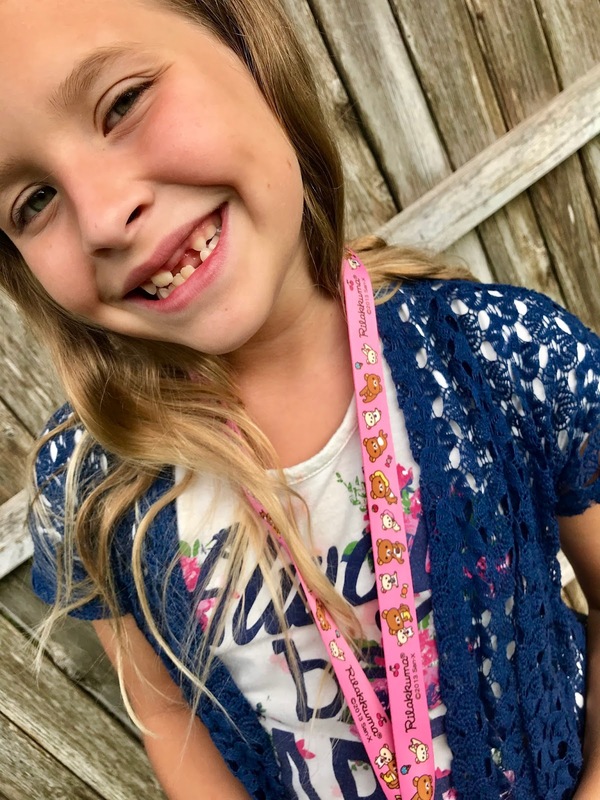 A fabulous lanyard that will come in handy for carrying around her season passes to Sea World and Six Flags! As you see, there's tons of things in the box. You can get your own here! Click on YumeTwins in the top left corner. Boxes are less than $40 and feature brands like Pokemon, Disney, and gudetama. (Plus many others!) Save $3 with the code AML3. This box is just too cute! I love the concept! Why this wasn't around when i was a kid?! Aw, what a cute box to get in the mail! It looks like your daughter really loved everything. That cat purse is too adorable! How fun for little girls. This sounds like a really fun box to get in the mail. And how funny that she noticed that the box changed. 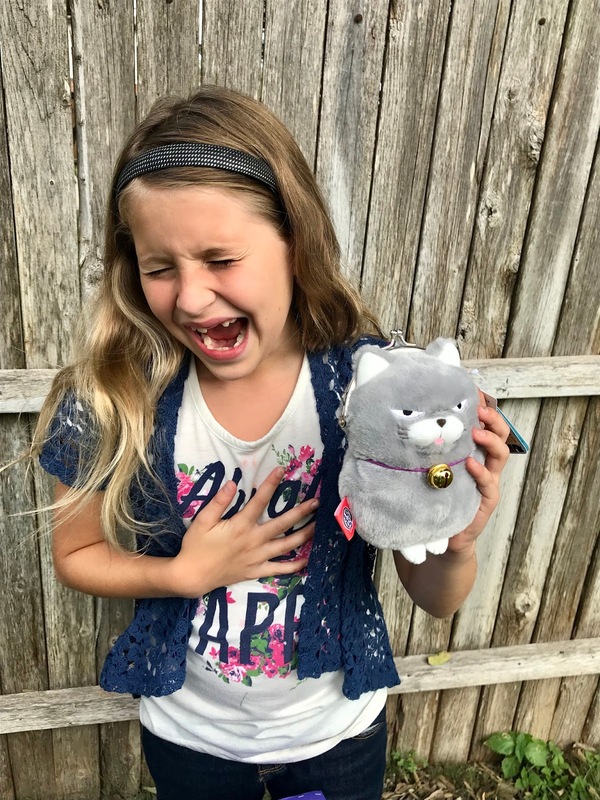 The angry cat purse is adorable! Your daughter wears it well! 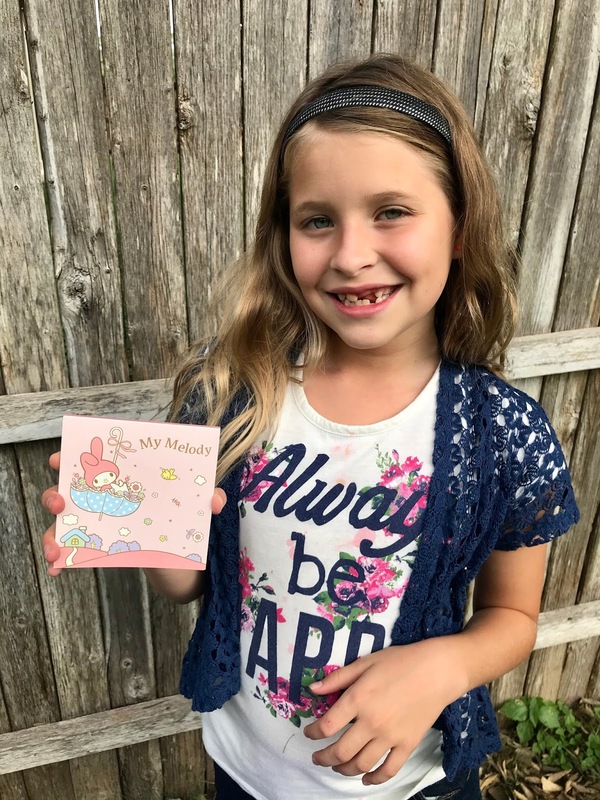 This box is just too cute and I know your daughter looks forward to receiving it. I would have loved that as a little girl! What a lovely idea - the angry cat purse is great! What a fun box! I know my kids would love to check out a box like this. They love squishies and kawaii anything! So adorable! Cute box. Love this month's item selections especially the lanyard and the angry cat. My daughter would love that anime-ish pillowcase. What a fun box for your little girl to receive and open I can see any girl getting excited to see this arrive in the mail and to tear into that box. These boxes always seem so fun! They are filled with such cool items, the ladybug plushie is definitely so very cute! Those are some cute plushies! 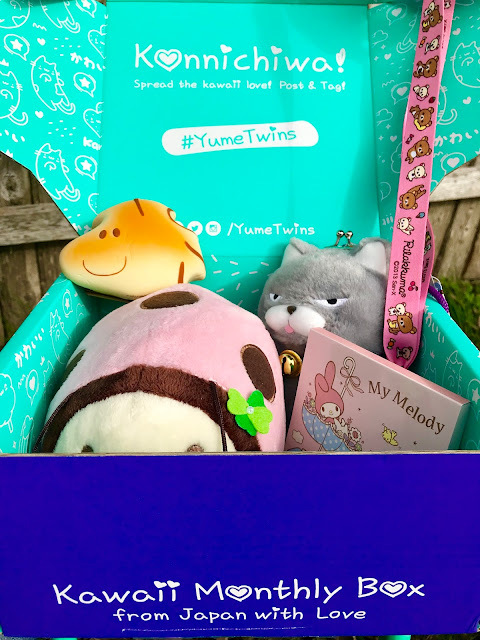 It’s really cute to have that kawaii boxes! Oh wow this is such a cute box! I love that they've come out with so many different subscription boxes like this one. The kids must love this! I bet it'd make for such a great holiday gift to give too. This looks like such a great surprise for the kids! My kids would love the stuffed animals! OMG I would die for something like this!! I love all things Kawaii so this is right up my alley! This is a great idea for a gift. Subscription boxes keep giving all year long. These are all so cute. I love the Angry Cat and the pillow case. This is so adorable. I would like to look into getting this for my two youngest neices. I love the concept of it all and the gift box is amazing. Great for someone the same age as my neices. These were such nice surprises! Everything was super cute. This box seems like it would be fun to open each month. My kids would absolutely love a kawaii box! Your daughter got so many great goodies in this box, it would make a fun gift for the holidays! I love all the items in the Kawaii box. The angry cat is so cute. Thanks for sharing. This sounds like a fun subscription box!! This would make a good Christmas gift for my nieces/nephews! I loved kawaii things ever since I was your daughters age. I love this sub box and it gives American little girls a taste of the kawaii culture. 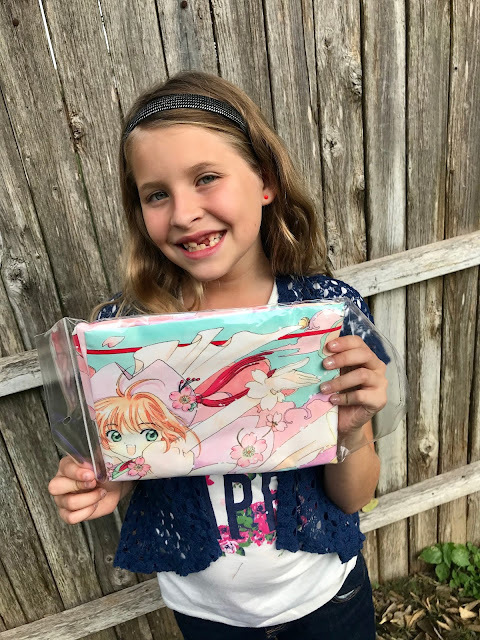 This is a perfect subscription box for girls, so cute and pretty. I will show this to my daughter and see if she like it. You can't NOT have season passes to Six Flags and SeaWorld if you live near them. Am I right? We think the Six Flags one pays for itself in like.. one day. I love that. I notice things like box changes too, Natalie! Cute stuff! So cute. I've never heard of this but I'm not around any little girls either. Such a fun gift idea. YumeTwins boxes are exciting gift to kids. 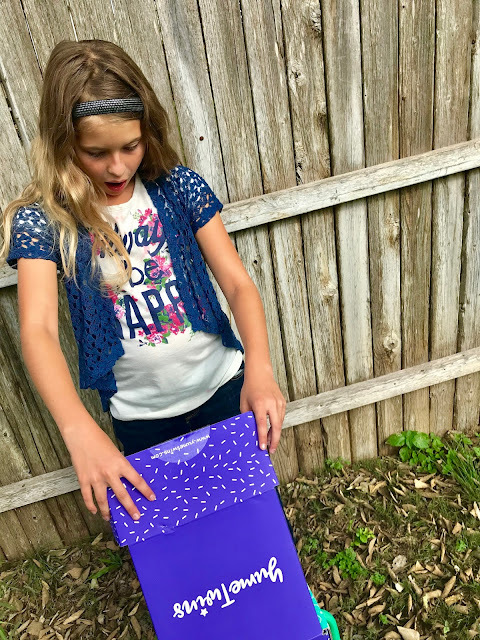 A lot of fun and amazing surprises inside a colorful box. Natalie looks so happy with it. 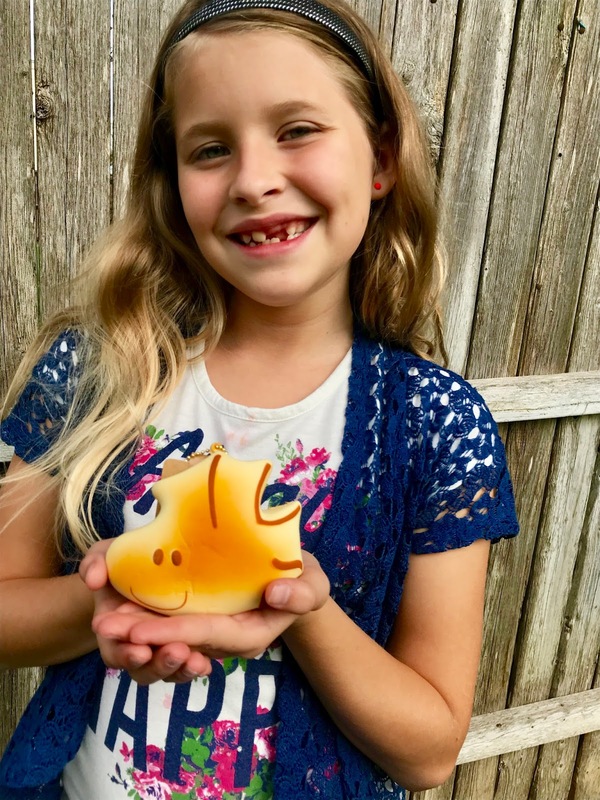 Quite a few super cute things this month! I think I'm getting this box for my girl this Christmas. Looks like a great box this month!They're all cute but I think my favorite will have to be the angry cat purse. The angry cat purse is so cute! I can relate to your daughter's expression. It looks like the cat from the movie Stuart Little! I think the Kawaii box is a good subscription box to have if you have a little girl. Natalie got some really cool stuff. But I am one with her, love the look of the angry cat. Looks so cute. What a fun selection of goodies, she looked delighted! I love the pillowcase, such a cute pattern. 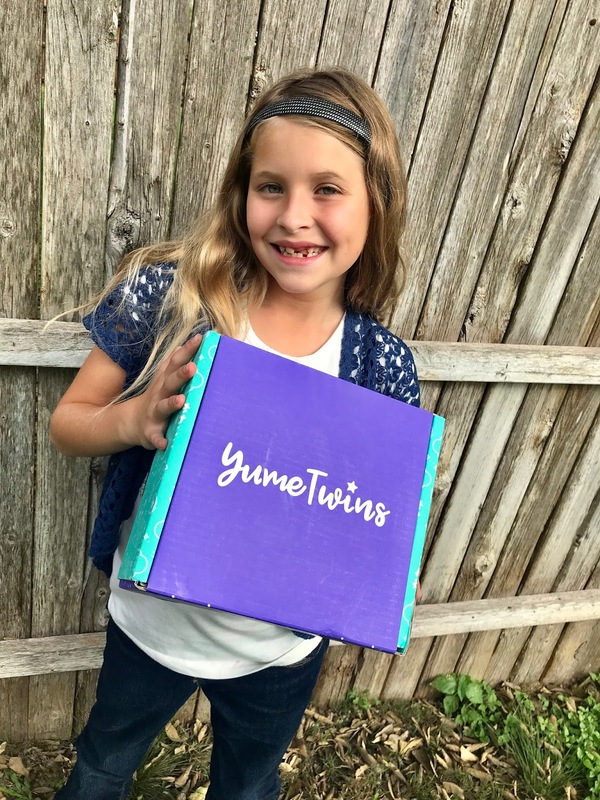 I've never heard of YumeTwins before. It looks like a great box for kids. Thanks for the discount code! That's a really fun box, I think my niece would enjoy it quite a bit. I like the angry cat. My younger girl would be in love with those! I've not heard of this box before! Wow! Indeed such colorful goodies. I love the colorful pillowcase this time. 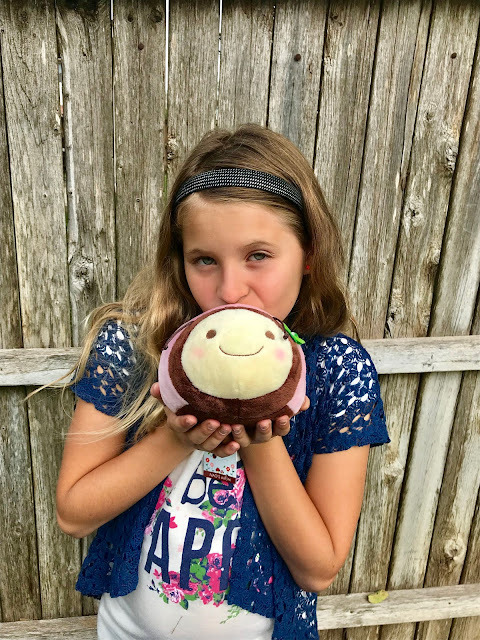 Your little one seems so very happy receiving this kawaii items.